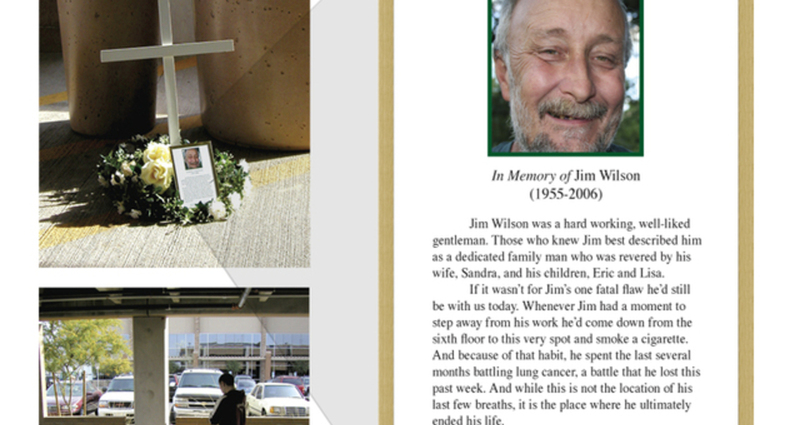 With permission from their families, memorials were created for selected cancer victims who worked in high-rise buildings. These buildings were targeted because they generally have designated smoking areas, usually in parking garages, where large numbers of smokers congregate. These smoking areas provide an ideal venue for reaching our target while they’re performing the very behavior we are trying to change.